Thank you for signing the Guest Book for Velaine Vanier Carnall. Please take a moment to sign the Guest Book for Velaine Vanier Carnall. To Velanie's family and friends, please take comfort in each other during this sad time. My deepest sympathies go out to you all. 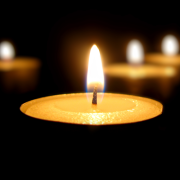 Send me a daily email when updates are made to the obituary or Condolence page for Velaine Vanier Carnall.